Organizing an event is not easy in any way. In fact, there are so many things to be planned. 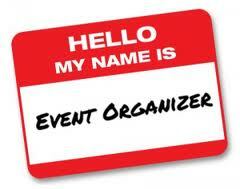 This is the reason why many people seek the services of an event organizer. I am happy to have this job. I find satisfaction in helping others make their plans into reality. Then again, it is not so easy to look for a client especially that there are so many other people who are into event organizing. I knew that I had to do something about the situation. I was aware of the tough competition around. I realized that I had to make a move right away. I spent more time on my website. I wanted it to look better, and I made sure that people would be able to access it whenever they needed the services of an event organizer. I also recognized the importance of letting people know of my existence. It would be pretty much useless for them to know about me and my skills in event organizing if they did not know that I existed. I knew that I had to do something very similar to promoting a product or a service.